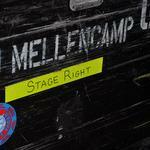 John Mellencamp Community > MELLENCAMP.COM ANNOUNCEMENTS > Ticket & Tour Questions > Beacon Presale fake? Did anyone get tickets for beacon at 10? I was in immediately and got nothing. There is supposedly a Presale for Amex card holders at noon. We are working with the venue to get the pre sale up. Please keep trying. The code is the word other.